Dr. Azarm received his Ph.D. from the University of Michigan, Ann Arbor. He then joined the University of Maryland where he is serving as Professor of Mechanical Engineering, and also Professor of Applied Mathematics & Statistics, and Scientific Computation Program. His research areas of interest are centered on engineering optimization and decision making models and methods, including (i) design optimization, (ii) decision support systems, and (iii) design for market systems. With his research group, he has published extensively in these areas in peer-reviewed journals and conferences. His research program has been funded by organizations such as NSF, NASA, ONR, AFOSR, AFRL, NAVAIR, ADNOC (UAE), Black & Decker. He has graduated as adviser or co-adviser 24 Ph.D. students. Many of his former students are employed as a faculty member or scientist at universities and research institutions in the US and overseas, including Johns Hopkins University, Naval Postgraduate School, Washington State University, Seattle University, University of Michigan-Shanghai Jiao Tong University Joint Institute, Amazon, Boeing, Facebook, Ford, General Motors, Stryker. He served as Editor-in-Chief of the Journal of Mechanical Design (ASME Transactions), Review Editor and Senior Advisor of (journal of) Structural and Multidisciplinary Optimization, Associate Editor of (journal of) Mechanics-Based Design of Structures and Machines, and Editorial Board Member of International Journal of Reliability and Safety. He was a member of the Board of Editors of the ASME Transactions, chair of an Advisory Board for the Journal of Computing and Information Science in Engineering (ASME Transactions), Associate Editor of the ASME Journal of Mechanical Design (JMD), and a Guest Editor of two special issues of JMD: one on Robust and Reliability Based Design, and the other on Designing Complex Engineered Systems. Dr. Azarm was an Operating Board member of the ASME Systems and Design Group, one of the largest groups in ASME, member-at-large of the ASME Committee on Division Operations and Training, and a member of the ASME Design Engineering Division (DED) Advisory Committee. He is a past Chair of the ASME DED Advisory Committee, past Chair of the ASME DED, one of the largest divisions in ASME, past Chair of the ASME Design Automation Committee, past Conference Chair and Paper Review Chair of the ASME Design Automation Conference. Among numerous awards, he received the ASME Design Automation Award for his “sustained and meritorious contributions to research in Design Automation, specifically in computational design optimization and engineering decision making.” Dr. Azarm is a Fellow of the ASME and a Professional Engineer in Maryland. ASME/Ford Best Paper Award. Co-author of a paper that received the ASME/Ford Best Paper Award in the 2009 ASME Design Automation Conference, 2009. Fellow of the ASME International, February 2007. ASEE Faculty Fellowships: NASA Goddard Space Flight Center, Summer 1994; Naval Surface Warfare Center-Carderock Division, Summer 1995. Procter & Gamble Paper Award, 2nd National Applied Mechanisms and Robotics Conference, Cincinnati, Ohio, 1991. Procter & Gamble Paper Award, 1st National Applied Mechanisms and Robotics Conference, Cincinnati, Ohio, 1989. Hu, W., A. Almansoori, P.K. Kannan, S. Azarm, and Z. Wang, 2012, “Corporate Dashboards for Integrated Business and Engineering Decisions in Oil Refineries: An Agent-Based Approach,” Decision Support Systems, 52, pp. 729-741, doi: 10.1016/j.dss.2011.11.019. Siddiqui, S., S. Azarm, and S. Gabriel, 2012, “On Improving Normal Boundary Intersection Method for Generation of Pareto Frontier,” Structural and Multidisciplinary Optimization (online since May 8, 2012, doi: 10.1007/s00158-012-0797-1). Saleh, K., O. Abdelaziz, V. Aute, S. Azarm, and R. Radermacher, 2012, “Approximation Assisted Optimization of Headers for New Generation of Air-Cooled Heat Exchangers,” Applied Thermal Engineering, (online since June 12, 2012). Aute, V., K. Saleh, O. Abdelaziz, S. Azarm, and R. Radermacher, 2012, “Cross-Validation Based Single Response Adaptive Design of Experiments for Kriging Metamodeling of Deterministic Computer Simulations,” Structural and Multidisciplinary Optimization (submitted/under revision). Mortazavi, A., S. Azarm, and S. Gabriel, 2012, “Adaptive Gradient Assisted Robust Design Optimization under Interval Uncertainty,” Engineering Optimization (accepted with minor revisions). Hu, W., K. H. Saleh, S. Azarm, and G. E. Mosier, 2012, “Approximation Assisted Multiobjective Optimization with Combined Global and Local Metamodeling,” Journal of Mechanical Design (submitted). Siddiqui, S., S. Gabriel, and S. Azarm, 2012, “Solving Mixed-Integer Robust Optimization Problems with Interval Uncertainty Using Benders Decomposition,” Journal of the Operational Society of America (submitted). Hamel, J., and S. Azarm, 2011, “Reducible Uncertain Interval Design by Kriging Metamodel Assisted Multi-Objective Optimization,” Journal of Mechanical Design, 133(1), pp. 011002-1 to 011002-10. Wang, Z., S. Azarm, and P. K. Kannan, 2011, “Strategic Design Decisions for Uncertain Market Systems Using an Agent Based Approach,” Journal of Mechanical Design, 133(4), pp. 041003-1 to 041003-11. Williams, N., P. K. Kannan, and S. Azarm, 2011, “Retail Channel Structure Impact on Strategic Engineering Product Design,” Management Science, 57(5), pp. 897-914. Li, M., S. A. Gabriel, Y. Shim, S. Azarm, 2011, “Interval Uncertainty-Based Robust Optimization for Convex and Non-Convex Quadratic Programs with Applications in Network Infrastructure Planning,” Networks and Spatial Economics, 11, pp. 159-191. Hu, W., M. Li, S. Azarm, and A. Almansoori, 2011, “Multi-Objective Robust Optimization with Interval Uncertainty Using Online Approximation and Constraint Cuts,” Journal of Mechanical Design, 130(6), pp. 061002-1 to 061002-9. Siddiqui, S., S. Azarm, and S. Gabriel, 2011, “A Modified Benders Decomposition Method for Efficient Robust Optimization under Interval Uncertainty,” Structural and Multidisciplinary Optimization, 44(2), pp. 259–275. Wang, Z., P. K. Kannan, and S. Azarm, 2011, “Customer-Driven Design Decision for Convergence Products,” Journal of Mechanical Design, 133(10), pp. 101010-1 to 101010-10. Designated as one of “10 best papers” in the 2011 ASME Design Automation Conference. Li, M., J. Hamel, and S. Azarm, 2010, “Optimal Uncertainty Reduction for Multi-Disciplinary Multi-Output Systems Using Sensitivity Analysis,” Structural and Multidisciplinary Optimization, 40, pp. 77-96. Li, G., V. Aute, and S. Azarm, 2010, “An Accumulative Error Based Adaptive Design of Experiments for Offline Metamodeling,” Structural and Multidisciplinary Optimization, 40, pp. 137-155. Williams, N., S. Azarm, and P. K. Kannan, 2010, “Multicategory Design of Bundled Products for Retail Channels under Uncertainty and Competition,” Journal of Mechanical Design, 132, pp. 031003-1 to 031003-10. Hamel, J., M. Li, and S. Azarm, 2010, “Design Improvement by Sensitivity Analysis (DISA) Under Interval Uncertainty Using Multi-Objective Optimization," Journal of Mechanical Design, 132, pp. 081010-1 to 081010-10. Abdelaziz, O., V. Aute, S. Azarm, and R. Radermacher, 2010, “Approximation Assisted Optimization for Novel Compact Heat Exchanger Designs,” HVAC&R Research, 16(5), pp. 707-728. Li, G., M. Li, S. Azarm, S. Al Hashimi, T. Al Ameri, and N. Al Qasas, 2009, “Improving Multi-Objective Genetic Algorithms with Adaptive Design of Experiments and Online Metamodeling,” Structural and Multidisciplinary Optimization, 37(5), pp. 447-461. Li, M., S. Azarm, N. Williams, S. Al Hashimi, A. Almansoori, and N. Al Qasas, 2009, “Integrated Multi-Objective Robust Optimization and Sensitivity Analysis with Irreducible and Reducible Interval Uncertainty,” Engineering Optimization, 41(10), pp. 889–908. Li, M., G. Li, and S. Azarm, 2008, “A Kriging Metamodel Assisted Multi-Objective Genetic Algorithm for Design Optimization,” Journal of Mechanical Design, 130(3), pp. 031401-1 to 031401-10. Williams, N., S. Azarm, and P. K. Kannan, 2008, “Engineering Product Design Optimization for Retail Channel Acceptance,”Journal of Mechanical Design, 130(6), pp. 061402-1 to 061402-10. Li, M., and S. Azarm, 2008, “Multiobjective Collaborative Robust Optimization (McRO) with Interval Uncertainty and Interdisciplinary Uncertainty Propagation,” Journal of Mechanical Design, 130(8), pp. 081402-1 to 081402-12. Maddulapalli, K., S. Azarm, and A. Boyars, 2007, “Sensitivity Analysis for Product Design Selection with an Implicit Value Function,” European Journal of Operational Research, 180, pp. 1245-1259. Li, G., M. Li, S. Azarm, J. Rambo, and Y. Joshi, 2007, “Optimizing Thermal Design of Data Center Cabinets with a New Multi-Objective Genetic Algorithm,” Distributed and Parallel Databases, 21(2-3), pp. 167-192. Li, G., S. Azarm, A. Farhang-Mehr, and A. Diaz, 2006, “Approximation of Multi-Response Engineering Simulations: A Dependent Meta-Modeling Approach,” Structural and Multidisciplinary Optimization, 31, pp. 260-269. Li, M., S. Azarm, and A. Boyars, 2006, “A New Deterministic Approach using Sensitivity Region Measures for Multi-Objective and Feasibility Robust Design Optimization,” Journal of Mechanical Design, 128(4), pp. 874-883. Besharati, B., L. Luo, S. Azarm, and P. K. Kannan, 2006, “Multi-Objective Single Product Robust Optimization: An Integrated Design and Marketing Approach,” Journal of Mechanical Design, 128(4), pp. 884-892. Besharati, B., and S. Azarm, 2006, “Deterministic Feasibility and Multi-Objective Robustness Measures for Engineering Design Optimization,” International Journal of Reliability and Safety, 1(1/2), pp. 40-58. Maddulapalli, K., and S. Azarm, 2006, “Product Design Selection with Preference and Attribute Variability for an Implicit Value Function,” Journal of Mechanical Design, 128(5), pp. 1027-1037. Besharati, B., S. Azarm, and P. K. Kannan, 2006, “A Decision Support System for Product Design Selection: Generalized Purchase Modeling Approach,” Decision Support Systems, 42(1), pp. 333-350. The researchers will develop and evaluate hybrid centralized and decentralized multi-agent task allocation methods. Azarm has served as TE for the journal since 2013. Mechanical Engineering Professor Shapour Azarm named recipient of 2016 ASME Robert E. Abbott Award. Professor Azarm will begin the appointment at prestigious journal on January 1. Longtime ME supporter provides the department with tools to build the future. ME professor will assist the UMD student chapter. Azarm and former students receive "Best Paper Award." Thin battery, nano-velcro and key exchange system named top UM inventions. Maryland faculty and Petroleum Institute review cooperation success of past year. Department congratulates ME alumni who recently joined the faculty of universities across the nation. Azarm to be Awarded ASME Design Automation Award during IDETC2007. Edward B. Magrab honored at reception recognizing distinguished service to campus and department. 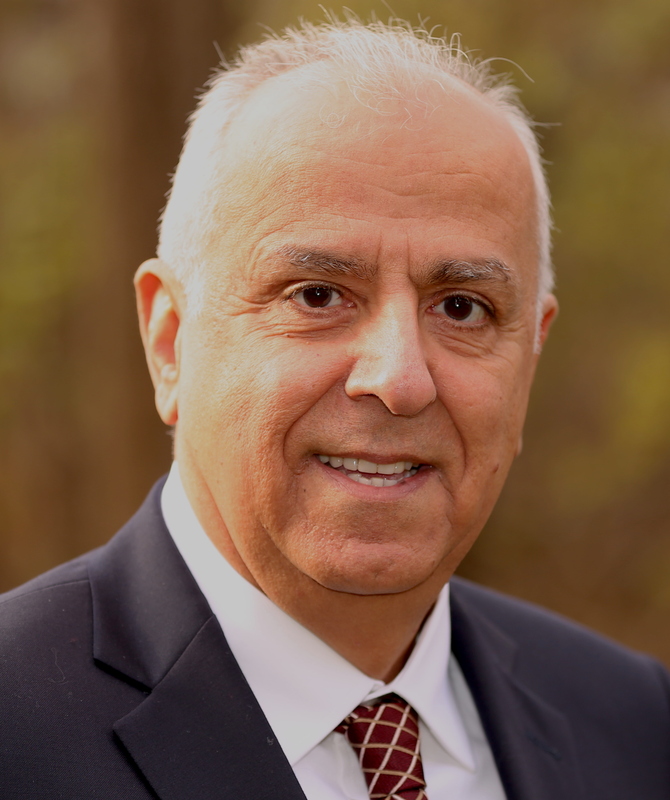 Professor Shapour Azarm has begun his tenure as ASME Division Chair serving through June 2007. Mechanical Engineering faculty were honored at the Faculty Recognition Event and Dinner on Friday, May 12. He is also the Associate Editor of Mechanics Based Design of Structures and Machines since January 1998. Dr. Shapour Azarm has been elevated to the status of Fellow within the ASME. Professor of Mechanical Engineering Shapour Azarm received a grant for $370,363 from the National Science Foundation. Eight faculty members from the Department of Mechanical Engineering attended, presented, and were divisional chairs at the 2001 ASME Conference. Five ME faculty present their research at the 2001 NSF Design, Service & Manufacturing Grantees & Research Conference.